We want to make your stay in Staffordshire as comfortable and relaxing as possible. Join us at Rooks Nest B&B for a traditional farmhouse welcome and enjoy fresh country air and breathtaking views over the picturesque Trent Valley in Weston near Stafford. 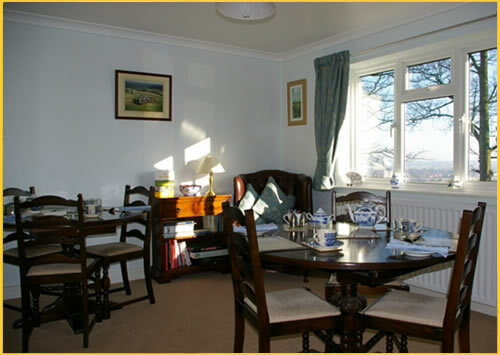 To book a room at Rooks Nest B&B please telephone Jackie on 01889 270624. Double/ Twin room with en suite (new rate) from £75. Single accommodation with en suite (new rate) from £45. For longer stays, reduced rates may be available, except during July/August. Children by arrangement, please call with your enquiries. All tariffs include full English farmhouse breakfast. Drinks facilities and TV with Freeview/ DVD are included in room. Please note all bookings must be made by telephone.